The students of PG Govt College for Girls, Sector 42 presented a spectacular performance on the culmination of the two week long celebrations of ‘Azaadi 70’. Themes of unity and patriotic fervour ran through the songs and speeches made by the students. 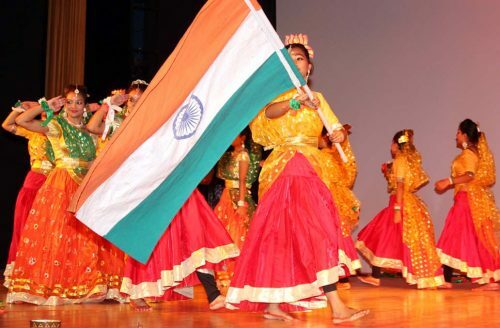 Followed by a mime upholding martyrdom and respecting the national flag, and a well- choreographed dance performance brought alive the spirit of freedom. The chief guest, Director Higher Education, UT, Chandigarh, Mr. Jitender Yadav, IAS, applauded the efforts of the students and the faculty members and called upon the students to respect every soldier, understand the true meaning of freedom and work with commitment for the nation.